The program focused on stress management, emotional and body awareness, self-regulation, and healthy relationship skills. At the end of the study period, approximately 97% of participants had improved in one or more domains. “We saw significant and substantial changes on measures of anxiety, depression, problematic stress responses (rumination, intrusive thoughts, hyper arousal), as well as hostility and vengeance,” study co-author Jennifer L. Frank, PhD, a professor of special education and school psychology at Pennsylvania State University, said. Their findings indicate that yoga may benefit several dimensions of stress management among young people, including those who face special challenges. “Our work was conducted in a setting where students experienced an array of academic, familial, and other social risk factors,” including exposure to gangs, drugs and poverty, Frank explained. For many of these students, traditional talk therapy has failed. “Non-traditional therapies such as yoga and mindfulness are not just beneficial for the wealthy and privileged, but can help to improve the lives of at-risk youth from diverse and challenging backgrounds,” She added. Yoga may also help prevent post-partum depression and reduce anxiety about childbirth, suggests research published last year in Depression & Anxiety.4 Fifty-nine pregnant women were randomly assigned to either standard prenatal care or a once-weekly yoga course. Results show that single yoga sessions reduced anxiety by one-third and decreased levels of stress hormones by 14%. At the end of the eight-week study period, the yoga group also “showed a reduction of nearly 20% in self-reported fear of childbirth, and it appears that yoga was protective against an increase in depressive symptoms observed in the treatment-as-usual group,” study co-author James Newham, PhD, told Psychiatry Advisor. 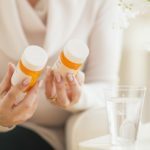 How Effective Are Atypical Antipsychotics for Chronic Pain?